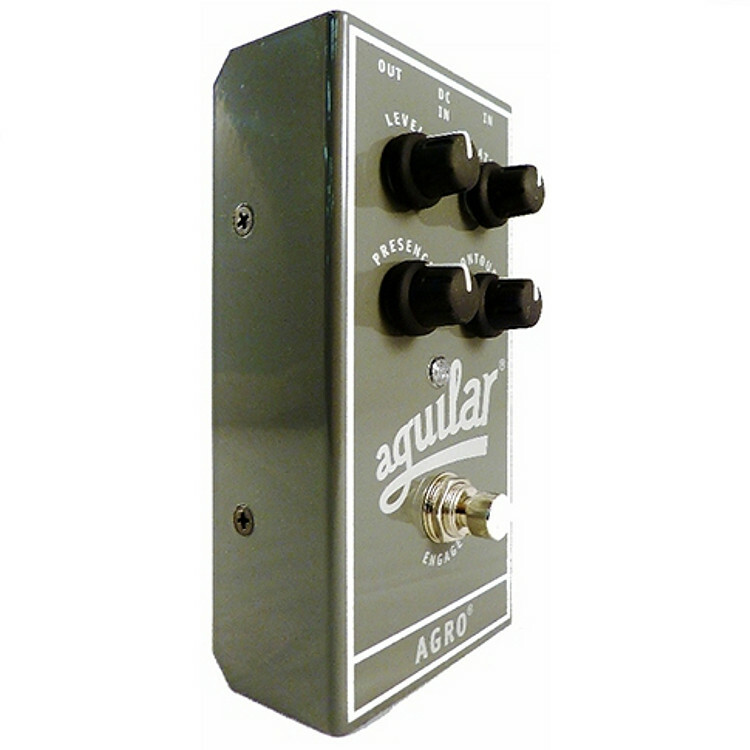 The Aguilar Agro Pedal Bass Overdrive is modelled after the Aguilar AG 500's popular Saturation channel. 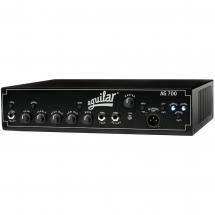 It is designed specifically to give bass guitar players a wide, flexible tonal range. 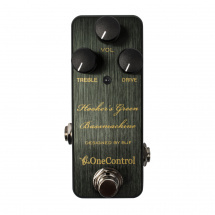 This circuit allows you to add rich harmonic distortion to your sound - while preserving the full, round tone of your bass guitar - whether you apply a warm, vintage-style edge or screaming full-blown overdrive. The Agro Pedal can be linked to your bass guitar amp, as part of your FX loop, or even as a preamp when it's connected to a power amp directly. 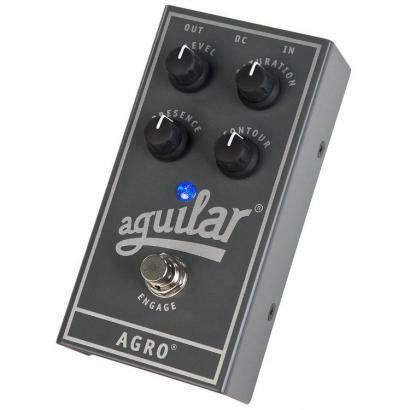 With only four easy-to-control knobs, the Agro gives you a plethora of distorted sounds. The Saturation knob conjures a wide range of distortion while you set a scooped sound or rather a more aggressive midrange with the Contour knob. 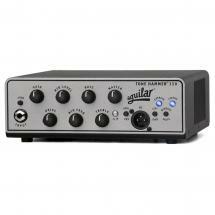 Additionally, the Presence knob lets you add just the right amount of attack to your sound so that your bass guitar's definition is still maintained - even at top distortion. 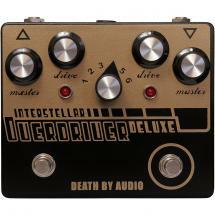 Last but not least, there's the Level knob that guarantees you have the desired distortion at any volume level. 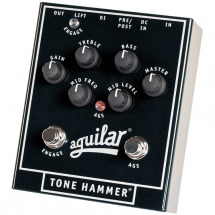 Aguilar downsized their pedals by removing their protruding edges (see the video), allowing you to use any size angled jack plug. 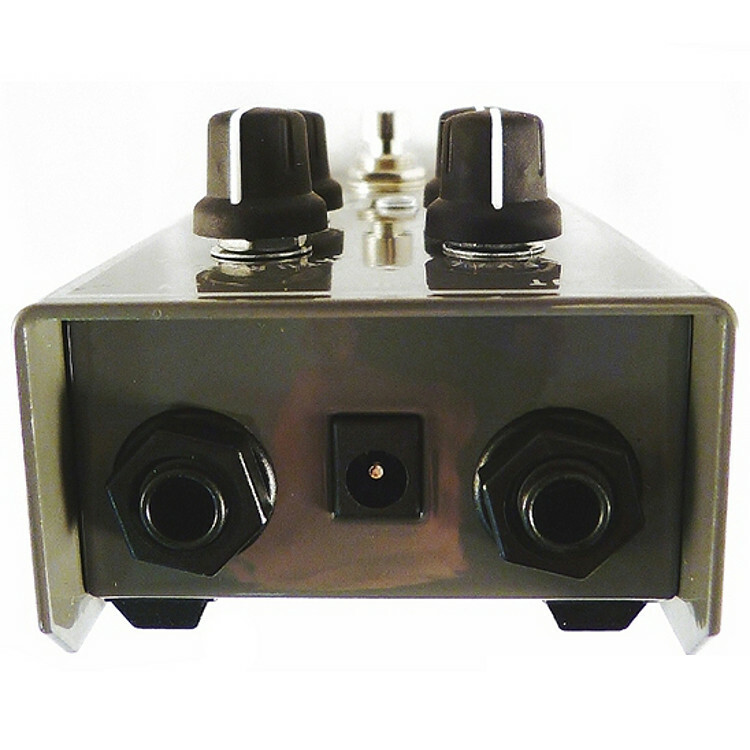 What's more, thanks to its new flat bottom it is now easier than ever before to mount the pedal to your pedalboard. 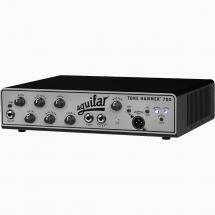 Aguilar Chorusaurus: der Bass Chorus ist noch nicht ausgestorben! 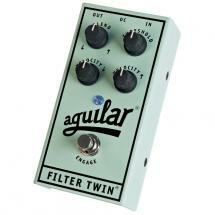 Wer dachte, dass der Bass Chorus zum alten Eisen gehört, wird von Aguilar eines Besseren belehrt. 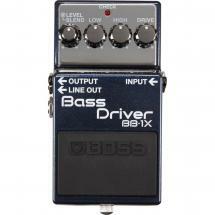 Dieses Pedal ist das sechste in der Reihe High-End Stompboxen der US-amerikanischen Marke, und sicher nicht deren schlechtestes.